Peppermint oil is native to Japan: also known as ‘mentha arvensis’ and is found in countless U.S. household products. It has a high concentration of natural pesticides, one in particular is menthone. This yellow oil is steam distilled directly from the herb and although it is most commonly found in liquid form, it can also be seen in capsules or tablets in many health food stores. Peppermint oil is high in omega-3 fatty acids, Vitamin A, C, minerals, manganese, iron, calcium, magnesium, folate, copper and potassium. Peppermint Oil has been used for centuries in many ways that have benefitted mankind. Extensive research in recent years has only supported the time honored uses of peppermint and it is through its fantastic benefits that it has become an essential item for any health advocate. The historical uses and research done on the benefits of it all have come to the conclusion that peppermint is one of the most naturally beneficial plants in the world. This yellow and potent oil is made up of strong A and C vitamins as well as healthy mineral supplements of iron, potassium, magnesium, manganese, omega 3 fatty acids, calcium and copper. The vitality of spirit and health that is rejuvenated through peppermint oil is astounding. Peppermint baths and scents are said to relax the user. Energy and alertness or a boost of concentration and clarity for those looking to feel better naturally. Amongst the medical benefits, it also is helpful around the home. When combined with other natural ingredients, it is used in organic household cleansing sprays and for insect repellent. Natural peppermint sprays provides a great aroma while leaving a home clean, bug free and smelling wonderful. 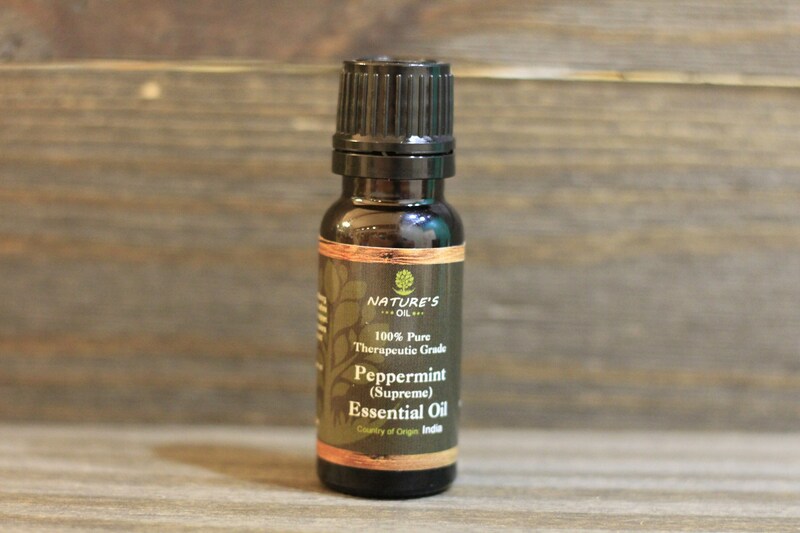 Check out our blog for creative uses for peppermint essential oil. Peppermint Essential Oil can be successfully blended best with Sandalwood Essential Oil, Basil, Bergamot, Cajeput, Cedarwood, Eucalyptus Essential Oil, Lemon, Lime, Mandarin, Marjoram, Niaouli, Pine, Rosemary, Spearmint, Lavender Oil and Thyme Essential Oils. The strong aroma and menthol content should be avoided during pregnancy.